For children age 4 and older, in French. 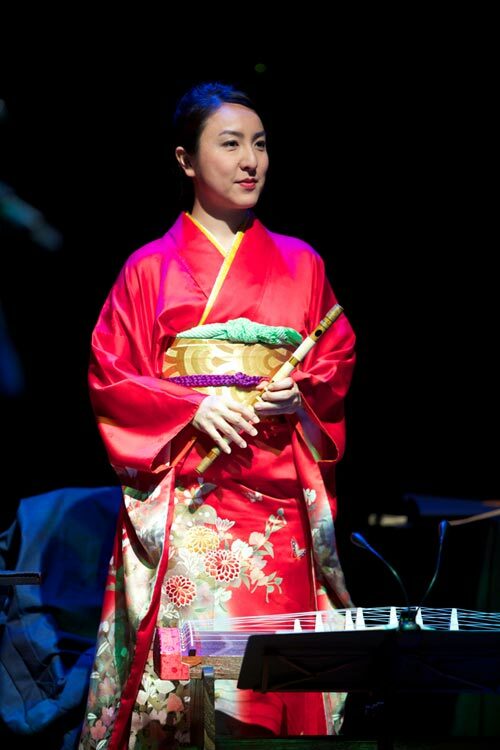 The mesmerizing tones of traditional Japanese instruments blended with ancient Occidental instruments resound throughout this musical tale of Japanese origin. Surprising and colourful characters spring to life in the paper cuttings of Claude Lafortune. Suzanne De Serres, story teller, double flute, douçaine, bassoon, ocarina, recorder, accordion; Yuki Isami, shinobue, shamisen, koto, piccolo, alto flute, kalimba; Patrick Graham, taiko, percussion; Geneviève Besnier, paper cutting and muppets.